Wind & Storm Damage Repair in Bay City, Midland, Mt. Pleasant and the surrounding areas! Homes in Michigan can be affected by various types of weather. At Paul Davis Restoration, our goal is to help your home recover from all varieties of storm damage, no matter the cause. This website makes it easy for you to find help if you need immediate assistance. 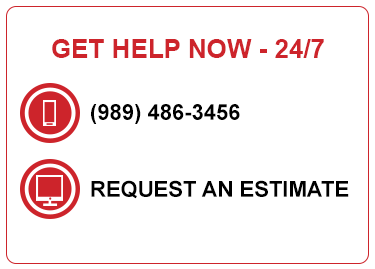 Just click on our “24-hour Emergency Services” button at the top of the page or call us directly. We are committed to getting back to you within 30 minutes and being onsite within four hours. No matter what day or time it is, Paul Davis Restoration is ready to respond to assist with any storm-related damage that happens to your home. Our restoration experts can address all types of storm damage. Let them help you get your home back to normal as quickly as possible.